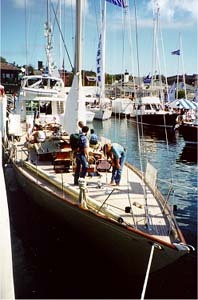 Pictures from various wooden boat events. Wild Horses. 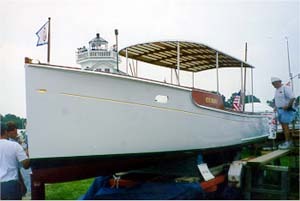 The late Joel White's last design, one of two W class boats built to date. 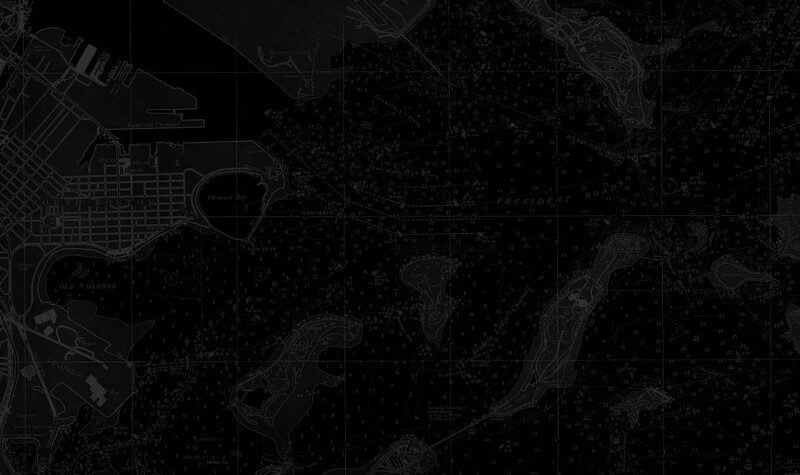 It is envisioned that this class will bring back the days of big boat one design class racing. 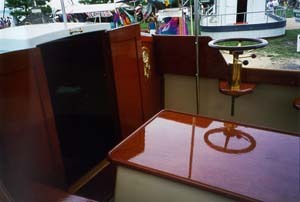 The cockpit of Wild Horses. Check out that enormous laminated wood wheel. 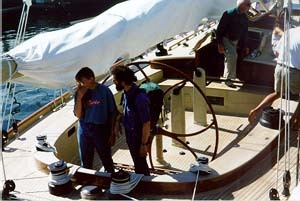 The launch Curio, built by Cutts and Case. Curio again. Exquisite varnish work and period hardware hide the fact that she is of modern epoxied wood-strip construction. 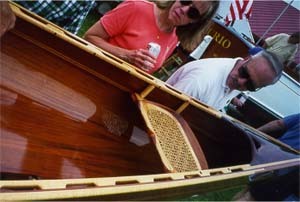 The organic contours and grain interplay of a Woodsong canoe. 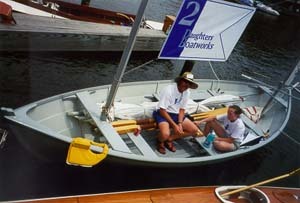 A Joel White designed Layla sistership. 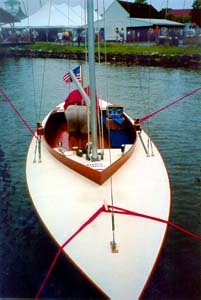 An Ian Oughtred designed Caledonia Yawl, built in glued lapstrake ply construction by 2 Daughters Boatworks. 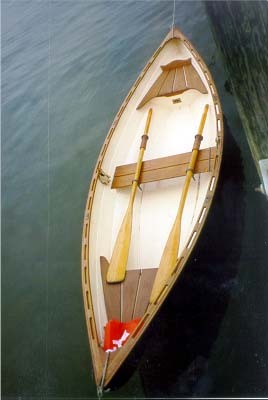 A glued lapstrake plywood constructed peapod. 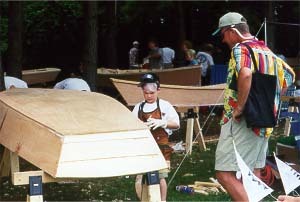 Probably the best feature of the 1998 WoodenBoat show was the Family Boatbuilding event. 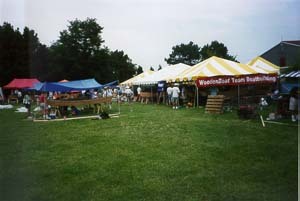 For a small fee, kits of various designs were provided to parent/child (or even grandparent/child/grandchild) teams for construction during the duration of the show. Fifty teams participated and all but one made it to the water on launching day. Proper tools and safety gear make the job much more enjoyable. 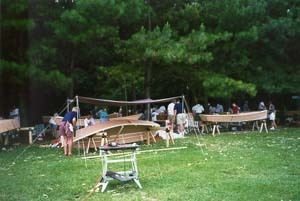 Another shot of the Family Boatbuilding event.